Help us advance our careers by working in one of the worlds best coral laboratories! We are trying to raise £3500 to get both of us to Florida Keys! We have the amazing opportunity to complete a 6 week coral reef research internship at MOTE Marine Laboratories, in order to progress our careers and help save coral reefs! My name is Jess, I'm a Tropical Marine Biology student at the University of Essex. 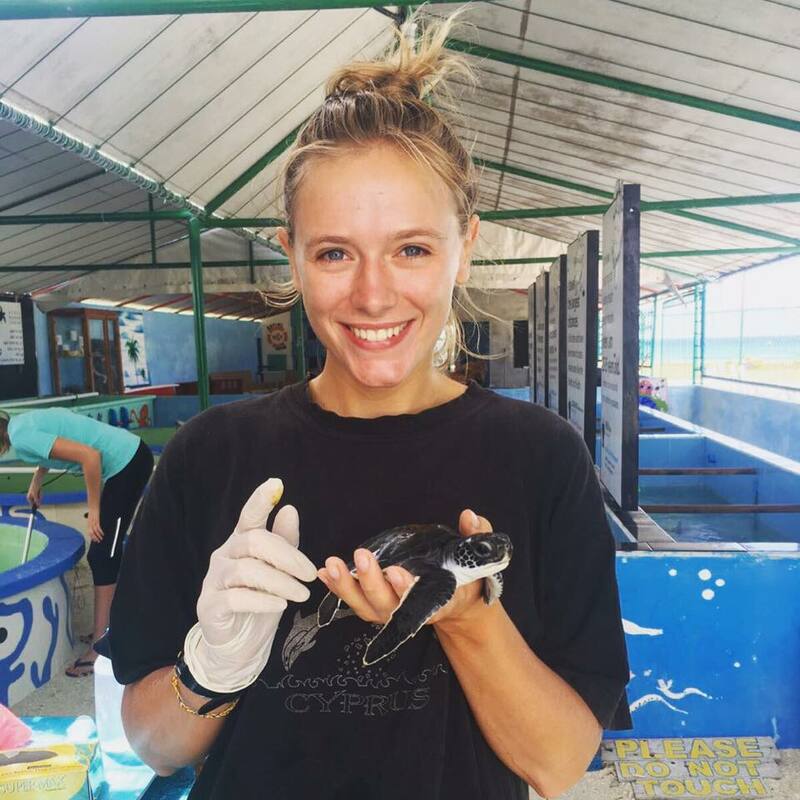 I graduated from my undergraduate degree in Geography in 2016 and since then I have worked on conservation projects in Mexico and the Maldives learning more about the creatures that I love so much- coral! After this Masters programme I will continue in coral research and spend my life restoring these precious ecosystems. Hi my name is Pip, I am also a Tropical Marine Biology Masters student, and I graduated from my undergraduate degree in Social Anthropology in 2013. 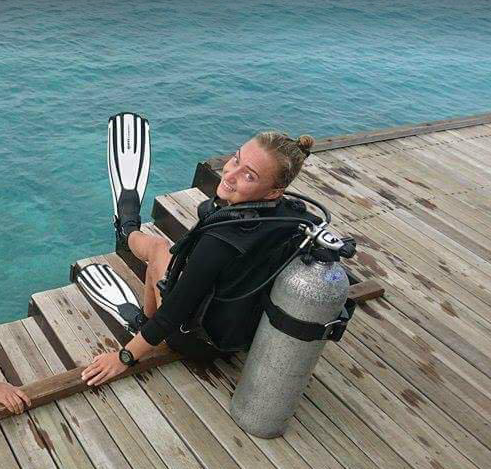 Since then I have volunteered at various organisations, and completed my professional diving certifications in Mexico, and been working as a dive instructor in Maldives. Having spent so much time in the ocean, I wanted to understand and help repair some of the devastating changes I was witnessing. I took a voluntary role as a Scuba Instructor at a marine conservation NGO in Philippines, where I learned all about corals and field research methods before starting my Masters Degree at University of Essex. After I graduate I hope to return to Maldives and get heavily involved in reef restoration programs and education initiatives. We have always had a passion for coral and the ocean, and all our previous experience comes from voluntary unpaid roles. Although this internship is also unpaid, we will be working at the lab Monday to Friday, 9.00 to 5.00, shadowing and learning from world learning coral biologists to gain this valuable experience. Our minimum target of £500 will contribute towards our flights (£740). Our full target of £3500 will cover our return flights (£740), and contribute towards our accommodation (£3000). As a personal thank you we'll send emails and photos, personal post card or video from Florida depending on your donation, explaining our gratitude, and what we've accomplished with the donation! This video is Dr David Vaughan, who we will be working along side, explaining the importance of the work at MOTE, please take a look at his incredible work! During our fundraising campaign we will be posting updates, please check Pip and Jess on Facebook, or Instagram @earthstories_ to follow our progress! You don't need to give money to help us succeed! Please share it with everyone you know! If you can donate even a small amount, we greatly appreciate it, as a little bit goes a long way when we work together! Please help us make this happen! We can't wait to get started! As huge thank you we will send you an email update letting you know what we have been up to in Florida with your donation! A a big thank you we will be sending an email and photos of what we've been up to in Florida, and show you how we have used your donation! As a thank you for this generous donation we'll send you a video update explaining our appreciation and showing you what we've achieved with your donation! This is an amazing donation, and as a huge thank you we will be sending you a video update explaining our appreciation and what we've achieved with your donation, and also a personalised postcard from Florida! This is an incredible donation, and to say thank you we will be sending a personalised hand-made T-shirt with your favourite marine animal on it- made by us, and we will email a video of what we have been up to in Florida with your donation!